With the commencement of Daylight Saving Time, the days start getting longer and the weather starts getting warmer. This may make you want to turn your cooling system on 24/7, but doing so will inevitably lead to higher energy costs and bills. In addition to this, your HVAC equipment can potentially break down because of the nonstop usage, necessitating ac repair services or even a team of specialists to help you. Your budget would be greatly affected by this, so it would be a good idea to find a way to cut down on these costs. Maximize daylight – DST offers an extra hour of sunlight of which you can take advantage. Reduce your energy costs by using natural light as effectively and efficiently as possible. Let natural light in during the day, but if the house gets too warm make sure that your window blinds are closed before turning on the air conditioner. This will help keep your home’s temperature lower. Regularly inspect your air conditioning system – Inspect your AC system often to ensure that all the system’s vents and air filters are clean and free from blockages. When your unit is clean, it will perform more effectively. You also might want to check out your AC troubleshooting system manual for guidance in fixing small issues. Avoid changing your thermostat settings too often – If you want to save money, avoid changing your thermostat settings too frequently. Take the time to properly adjust the thermostat to your preferred temperature initially so you don’t have to keep changing it. You can also purchase a programmable thermostat if you want the temperature level in your home to adjust automatically to your chosen settings. Seal air leaks – Lower HVAC bills by making sure that your house is free of drafty air leaks from doors or windows. Seal any that you find with weatherstripping or caulking. 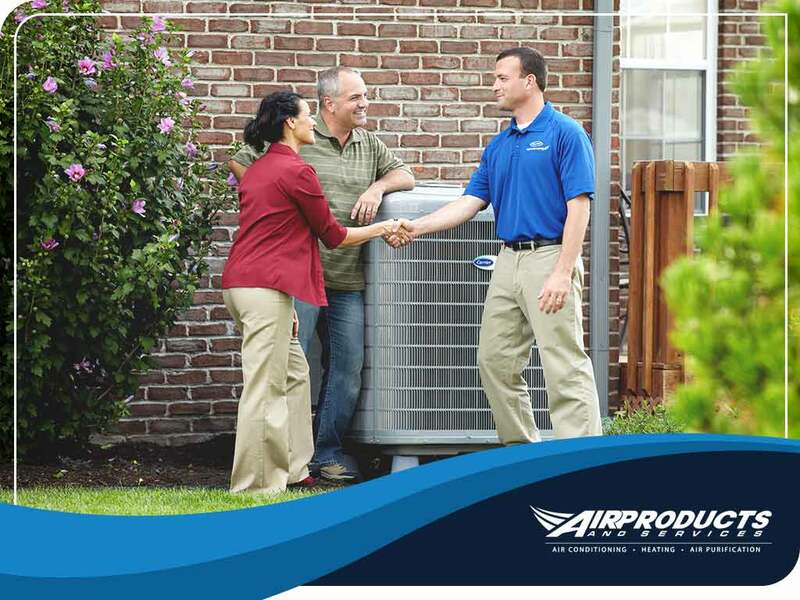 Consider replacing your AC – If your air conditioner and other HVAC appliances start to have frequently recurring issues, you may want to consider air conditioning replacement. While the initial investment may seem costly, in the long run it will help you save more on energy costs. For quick repairs, contact Air Products and Services at (818) 334-8403. We serve Tarzana, CA.